R.A.D. Experience: Back to Back Drifting Weekend!!! 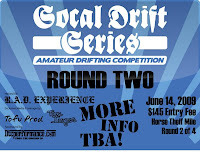 2 days of drifting action!!! See you all at the tracks!